I decided to make an easel card for my parents anniversary. I used Whisper White and the Window Framelits collection. I then layered gold foil and then another layer that I embossed with the Lacy Brocade folder. 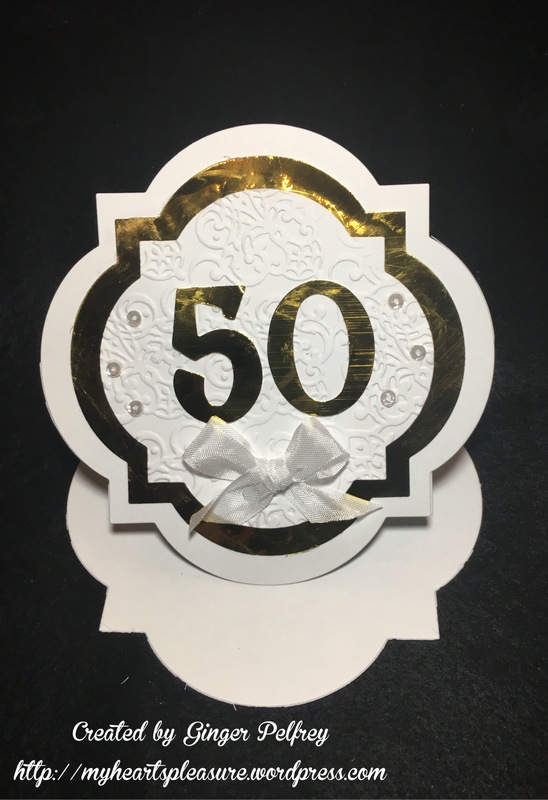 I die cut the numbers in gold foil using my Sizzix dies. To finish I added the white bow and some Pretty Pink Posh sequins. Thank you so much for stopping by and I hope you are inspired to play along with us this week! 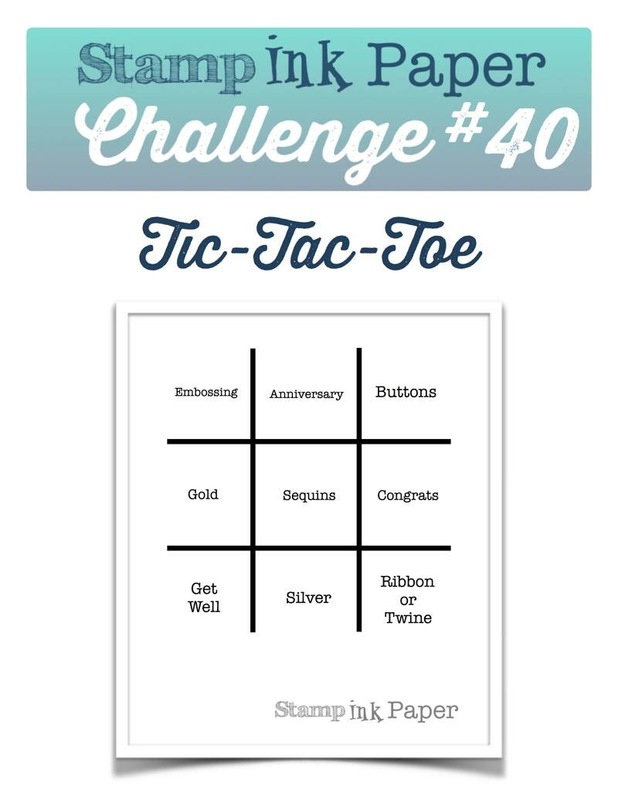 Categories: Stamp Ink Paper, Uncategorized | Tags: 50th Anniversary, Gold foil, Lacy Brocade, Pretty Pink Posh sequins, Stamp Ink Paper, Whisper White, Window Framelit Collection | Permalink.